This week's episode, being part of the WWE's annual UK and European tour, was a shortened affair meant to shill the (dormant) UK division and the upcoming second UK Championship Tournament. Normally I'd be annoyed because no major show plots were advanced, but seeing as how 205 Live is now its own separate entity not unlike NXT, I don't mind it so much. I'll live. But the decision to ultimately leave off most of the so-called "UK division" would only make sense if they are pushing through with a 205 Live-esque UK show once they finish up the tournament. The WWE United Kingdom Championship has been a strange orphan since its inception early last year, popping up on NXT every now and then when it's convenient. Otherwise, if I were them I'd just unify the UK title with either the Cruiserweight or the NXT North American Championship. Or, at the very least, feature more UK title bouts on 205 occasionally, since both of the champs and most of the division are under 205. 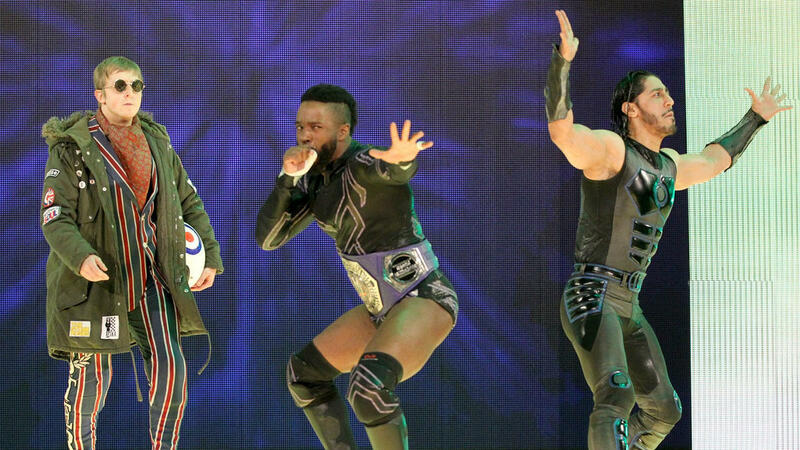 Meanwhile, 205 Live did their best this week even with a strange goal that doesn't quite have anything to do with the show itself. It's still the best hour of action you'll see anywhere on the WWE slate, but you can't deny how wayward it was. I can get leaving Murphy out of this week's episode if you need to showcase UK guys, but choosing to leave out Mark Andrews and Jack Gallagher? Really? Especially when Jack is confirmed to be in the tournament? I did like the decision of having Tyler Bate beat TJP, building on the continuity they established back in the first round of the Cruiserweight Championship tournament. At this point I'd just love for them to bring Bate up to 205 Live if he'll be used on NXT sparingly—he'll stand out well as a face and could easily be traded to SmackDown Live if they want to. When did they sign Flash Morgan Webster, and all these other UK guys who weren't in last year's tournament? It's a little strange to see them billed as members of the WWE's UK division, when we don't even know what the actual division entails. On that note, I wish they played up the upcoming tournament more. One of Drake Maverick's strong suits as a GM is that he's very self-aware that the brand isn't an island, so I wish the writing had him play up the tourney and the fact that he was sending over Jack Gallagher—one of his guys—to participate, and that he was featuring possible tournament contenders on the show. It's a rare misstep for them to commit in the Maverick Era, and would have had the Very Special UK Episode make even more sense, beyond "we're in the UK, so we're putting on British wrestlers." The Smarkometrics Experience Xtreme™ has a lot of work to do, thanks to the UK trip! How does everything stack up? Cedric Alexander (no movement) — Cedric stays on top, mostly because his challenger isn't on the show this week and they won the six-man main event. Yay! Buddy Murphy (no movement) — Not being on the show means you don't get to lose... or win, for that matter. But hey, at least the guy below him doesn't move up to steal his spot. Mustafa Ali (#6 last week) — Ali makes the biggest jump this week after scoring the important pinfall for his team, especially against archnemesis Drew Gulak. Drew Gulak (#3 last week) — Loses one spot after he and his children lose to Team Babyface. Kalisto (#4 last week) — Loses in the opening fatal four-way, but at least doesn't eat the pin. Lince Dorado and Gran Metalik (#5 last week) — Did not make it to the O2 Arena in London. Brian Kendrick and Jack Gallagher (no movement) — HOW DO YOU NOT BOOK JACK GALLAGHER IN ENGLAND? Flash Morgan Webster (new) — The quirky mod wrestler makes his WWE debut, and hey, manages to win, too. Tyler Bate (new) — Returns to the 205 Live ladder after, well, returning to the show and pinning the guy who eliminated him from the Cruiserweight Championship Tournament, TJP! Hideo Itami (#9 last week) — Will get his shot at redemption when he and Akira Tozawa face off next week.